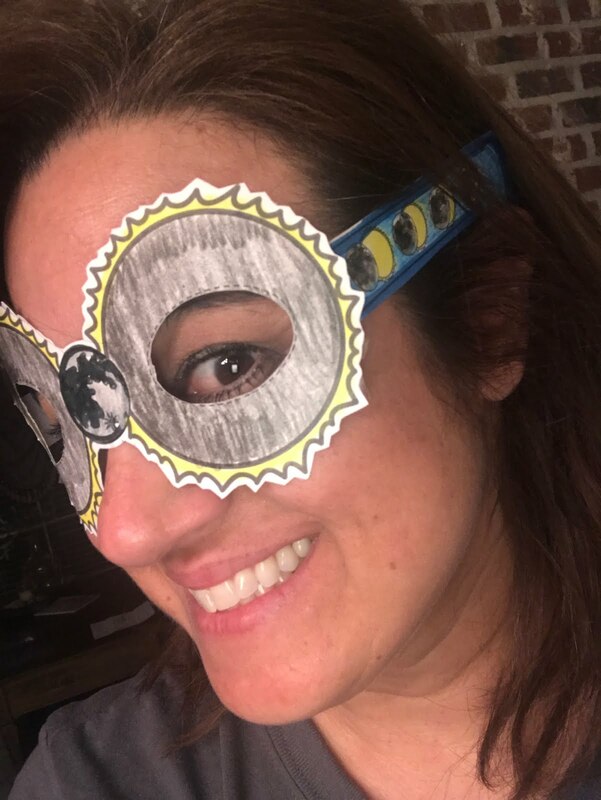 WOW…are you as excited about the total eclipse, aka Great American Eclipse, that’s happening on August 21st as I am? 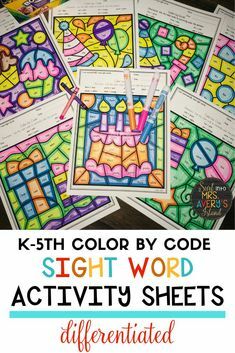 I can’t tell you how much fun I have had creating my Solar Eclipse Growing Bundle this week! 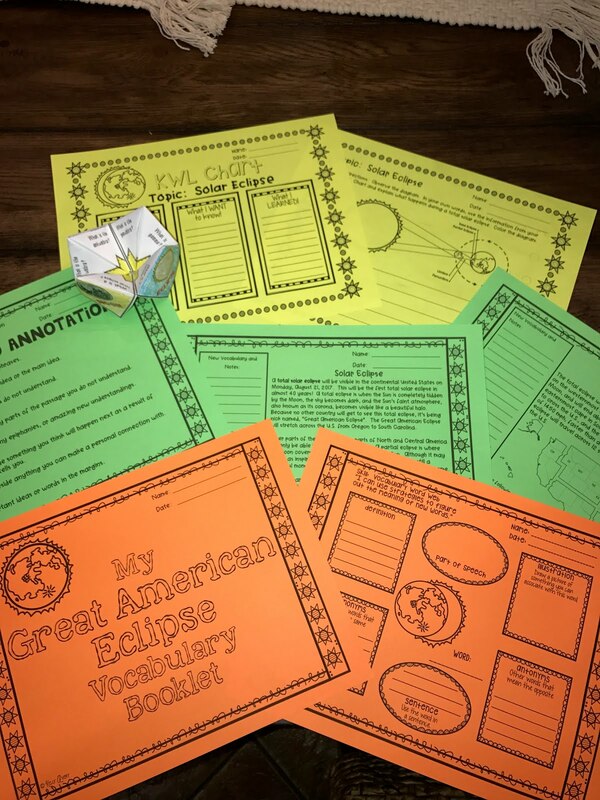 If you are looking for some low prep/no prep activities to help support your solar eclipse lesson plans, I encourage you to check out this HUGE bundle which happens to cross the curriculum in all subjects! 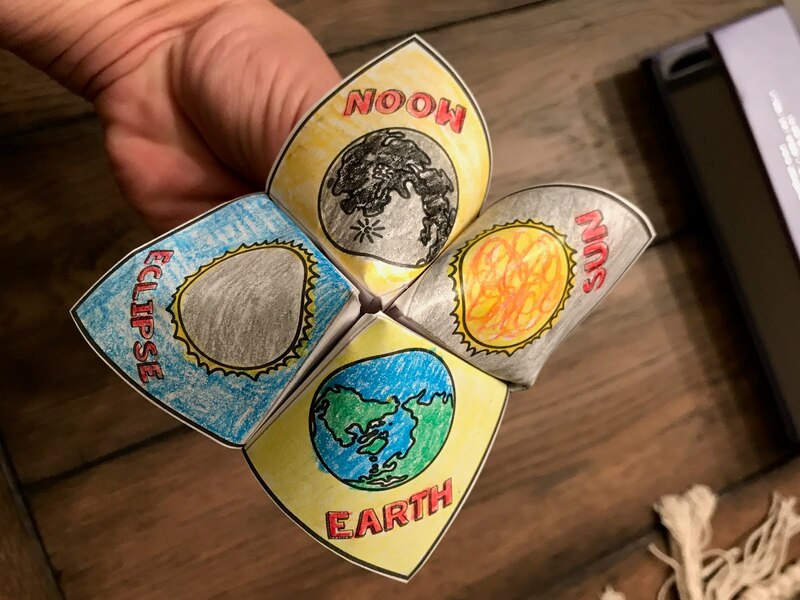 I have learned SO much while creating this solar eclipse bundle, and I think it’s so cool that the solar eclipse will be happening on a school day! 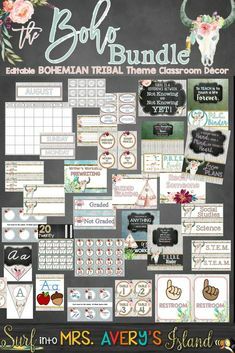 Check out just a few of the items you can find in the bundle! 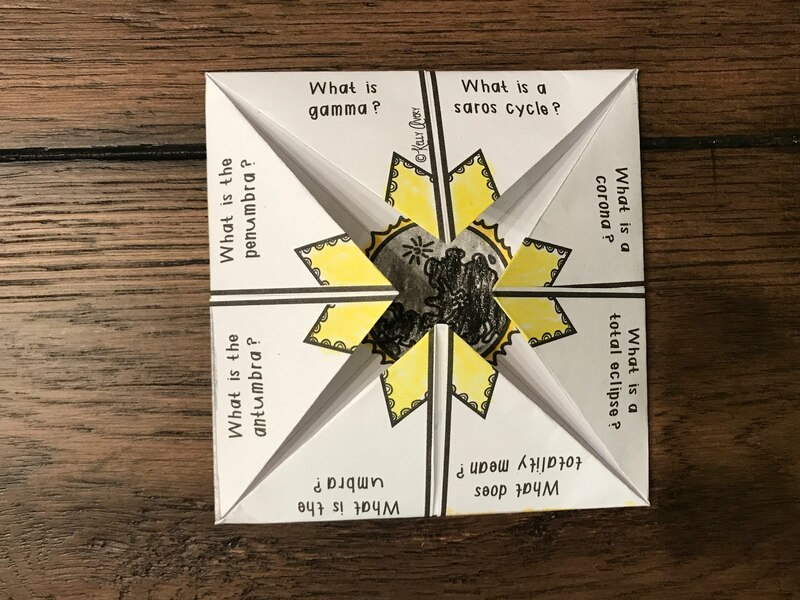 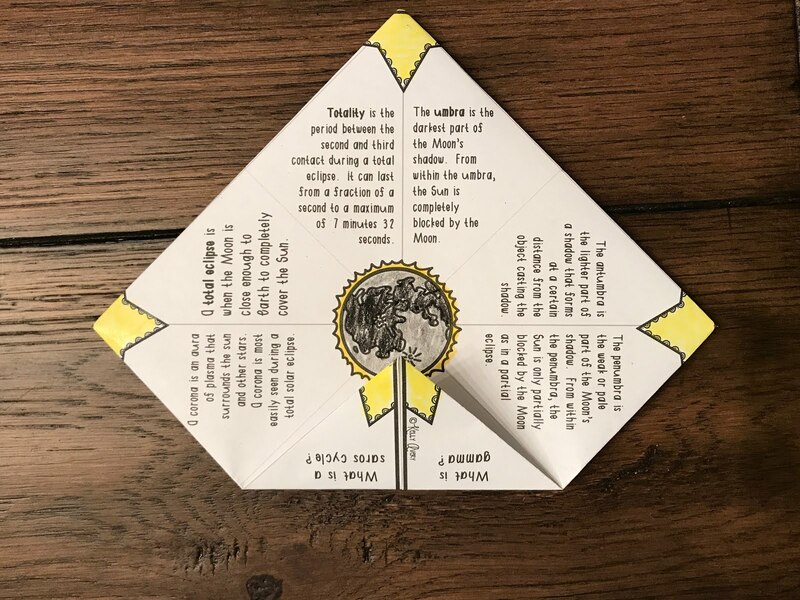 Turn learning vocabulary into a SUPER engaging activity with this Cootie Catcher! 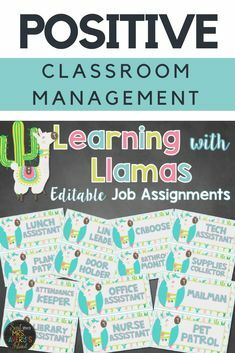 Labeling a Diagram, and Much More! 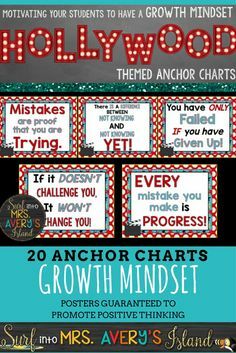 When you purchase this growing bundle at the lower price, you receive ALL of the updates FREE simply by downloading the revised version each day! 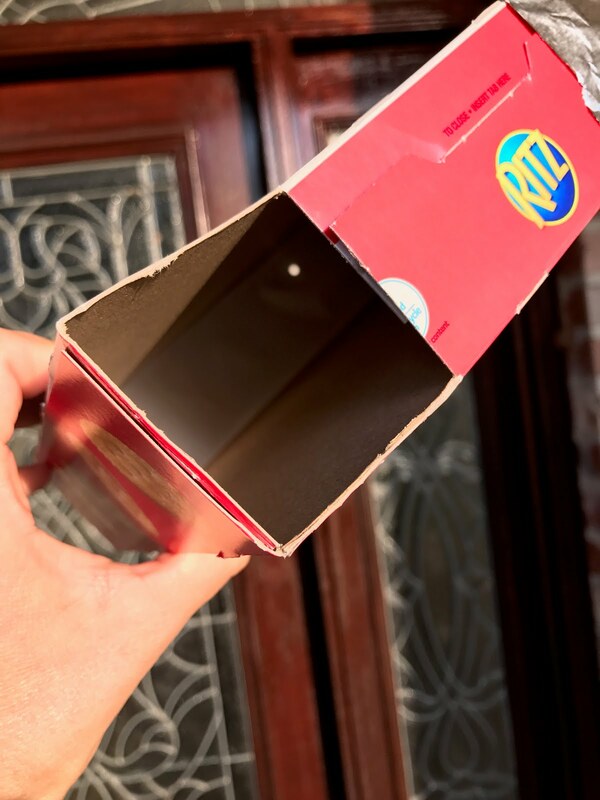 You won’t believe your eyes when you see tomorrow’s surprise!